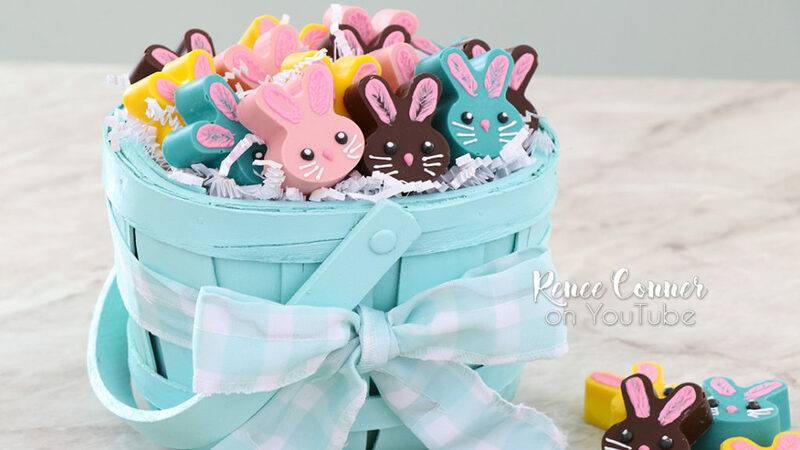 Easter is just around the corner… I love any holiday that naturally comes with a cute theme to decorate with. For Easter it is naturally bunnies, which are cute any time. 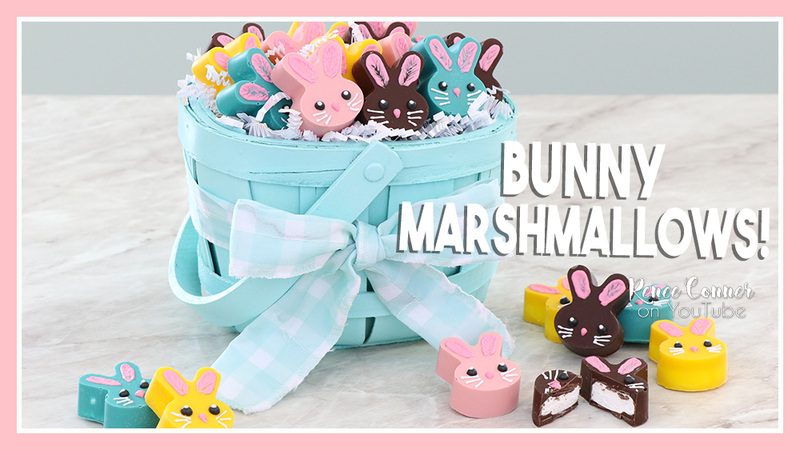 And, for some reason Easter also makes me think of marshmallows- perhaps because of a certain brand of marshmallow chicks and bunnies that people either love or hate! 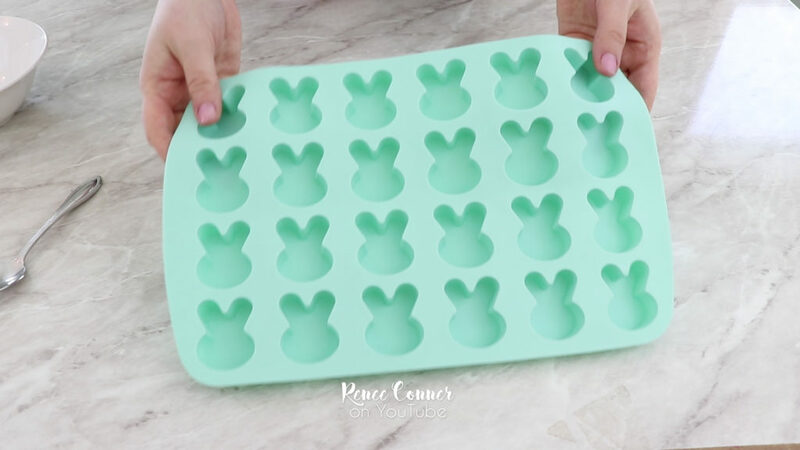 I saw this silicone bunny mold at Walmart and bought it knowing I would have to make something with it. 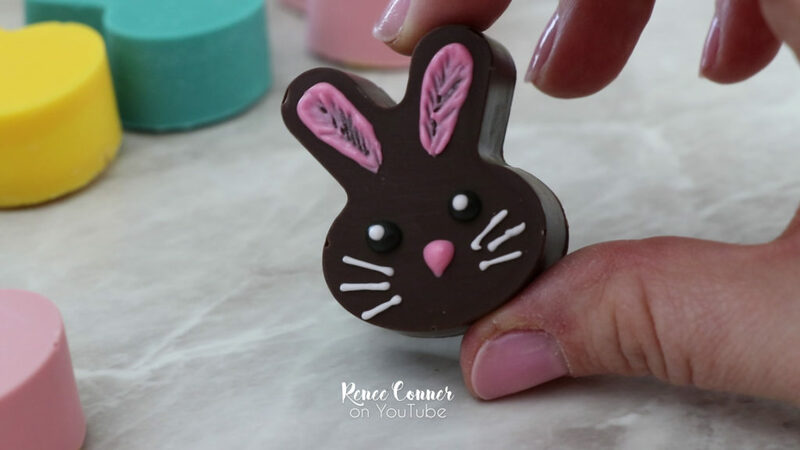 The little bunny shapes were just too adorable not to! 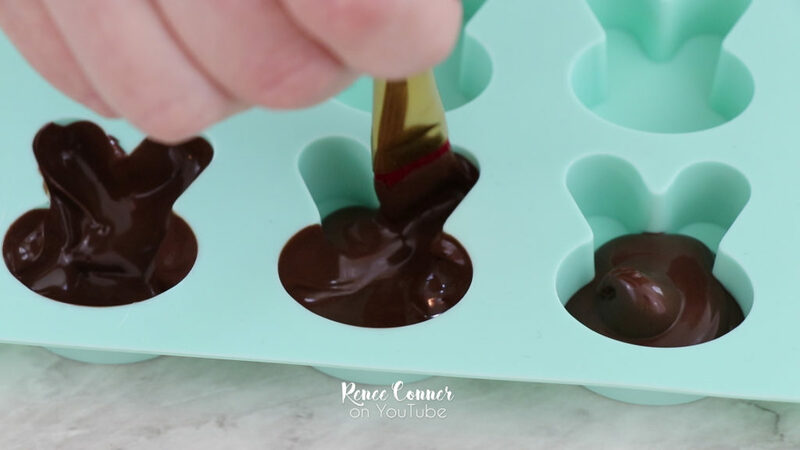 I thought these chocolate covered marshmallows would be perfect. 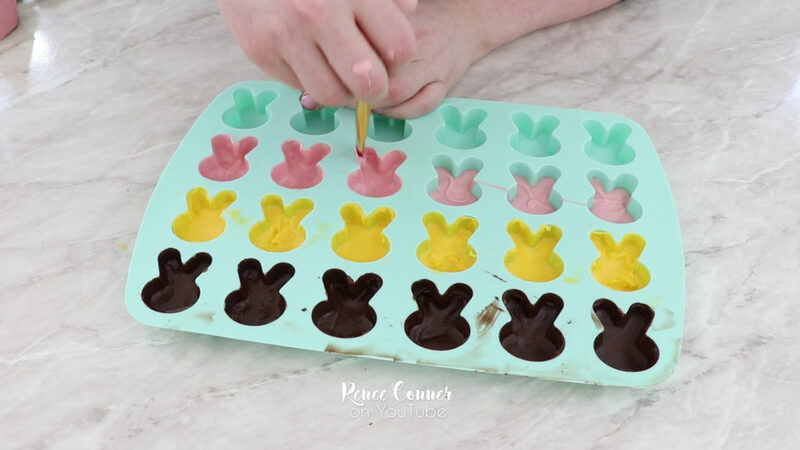 A delicious homemade treat to add to an Easter basket… or just as a sweet dessert at an Easter gathering! 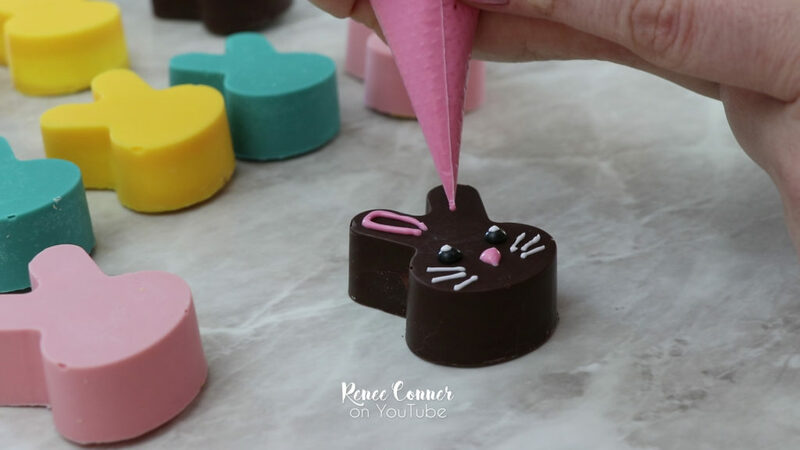 They were really easy to make (watch the full YouTube tutorial below)… I used coating chocolate (also called compound chocolate or candy melts). You can of course use regular chocolate (couverture chocolate), but that will need to be tempered… I’m all for quick and easy so I went the the former! Then I used a paint brush to coat the sides of the mold completely. This would be so much easier if I had just made one color/flavor… but in the spirit of pretty festive colors, I chose 4 different ones… and repeated the steps for each. The chocolate needs to set completely (usually 30 min at room temp or in the fridge for 15 or so). And when it was set, I whipped up a batch of homemade marshmallows (recipe below). 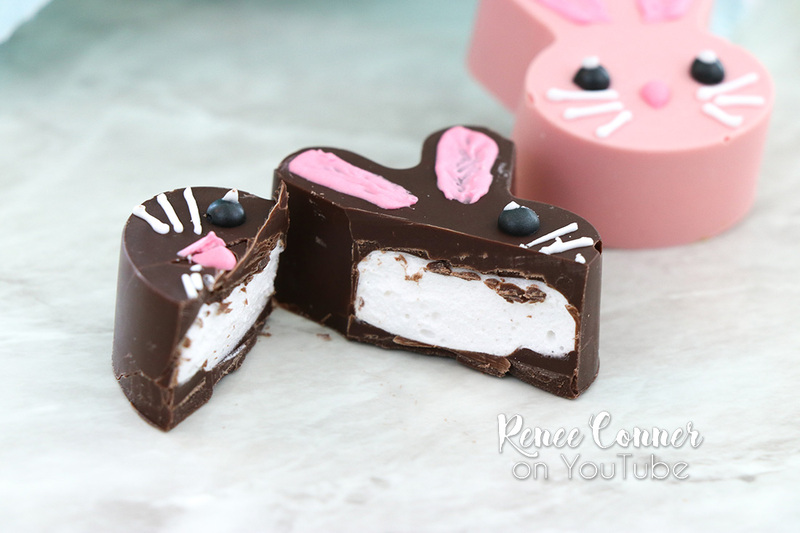 Just a note- I made a full batch because I was teaching the recipe, but a 1/2 batch will be more than enough for one tray of these bunny marshmallows! I filled each cavity, most of the way full, with the delicious marshmallow! 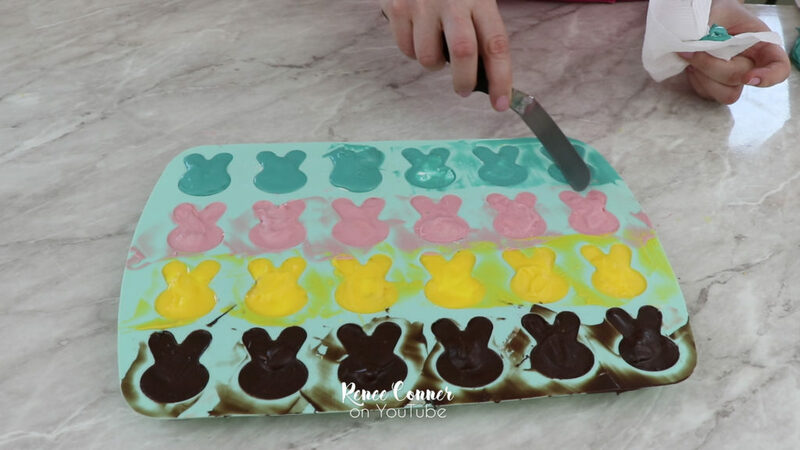 After adding a thin coat of chocolate to the back of each marshmallow, let them set up for at least 4 hours. You want the marshmallow to have plenty of time to set up. 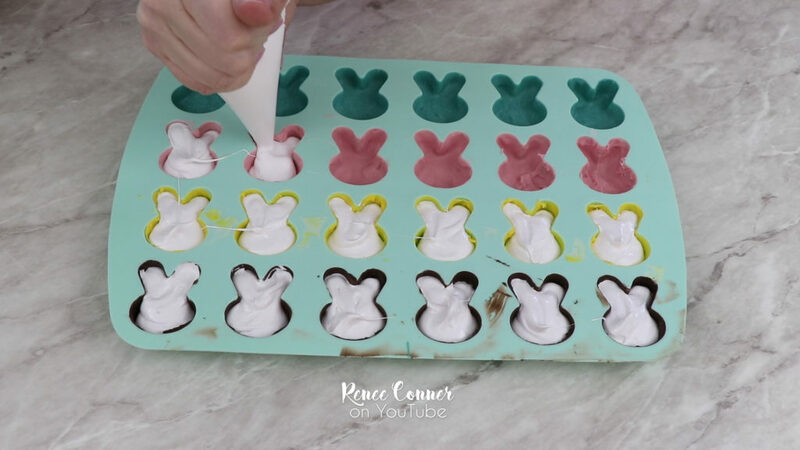 They are so cute as is… but I’m a decorator, so I had to give each one a simple little face…. They turned out so cute!! 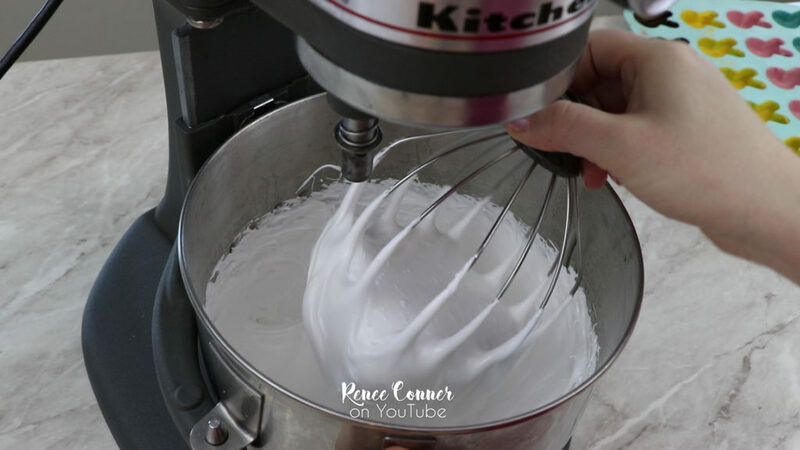 I hope you will give this recipe a try… if you do, share your pictures on my Facebook Page (Renee Conner Cake Design) or tag me on Instagram (@reneeconnercake), I’d love to see!